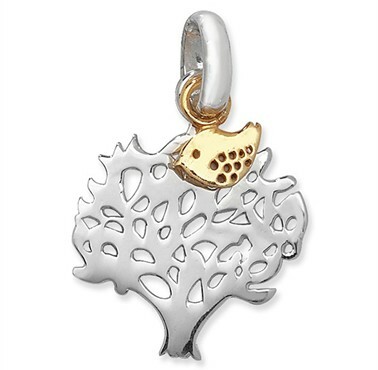 Smooth Sterling Silver Tree of Life, with charming 9ct gold-over-Sterling-Silver baby bird. Comes complete with Sterling Silver chain 16-18”/41-46cm. Size: 2.5cm inc bal. With Chain.